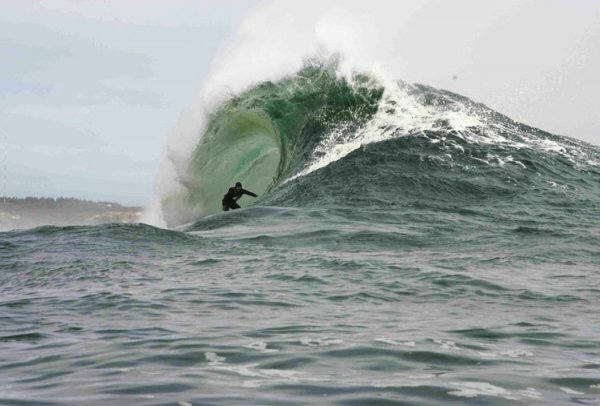 The northern hemisphere’s 2009-2010 winter El Niño condition, famous for bringing epic surf to the US West Coast, is becoming infamous in some parts of California due to monumental amounts of coastal erosion brought about by poor coastal planning, rising sea levels from climate change, large ocean swells and torrential rains. The beach just south of Sloat Boulevard in San Francisco is severely eroding and the SF Department of Public Works (DPW) declared a “state of emergency” (declared on January 15th, 2010) and closed the southbound lanes of the Great Highway just south of Sloat, in order to armor the cliffs – potentially with large rocks – to temporarily protect the road and the nearby sewer tunnel. 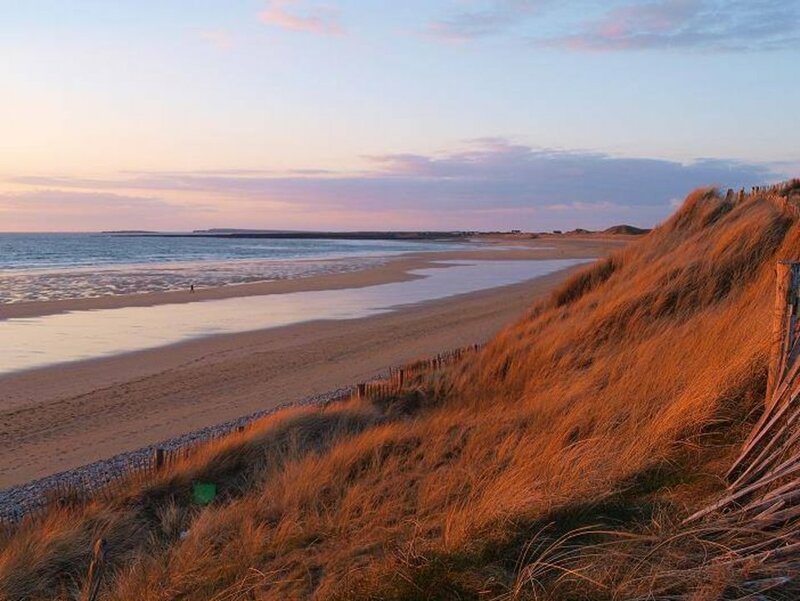 However, as has been proven in the past, temporary coastal armoring such as this may worsen erosion in the area, and set off a vicious cycle of coastal armoring, accelerated erosion, and more armoring as a stopgap measure. The end result of this is a severely eroded coastline that is littered with artificially placed boulders and devoid of sand. 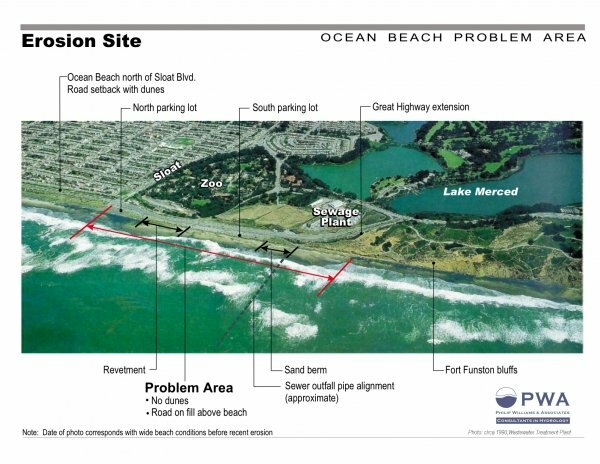 This armoring could also have negative impacts on the world-class surf breaks of South Sloat, destroy coastal habitat, and pose a safety risk and beach access problems for beachgoers and surfers. 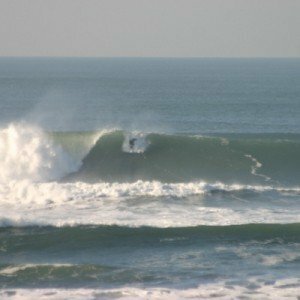 A growing collection of environmentalists, coastal engineers, and organizations such as Save The Waves and Surfrider SF are speaking up to protect the area without resorting to destructive rock armoring, and encouraging a “strategic relocation” of infrastructure away from the shoreline. 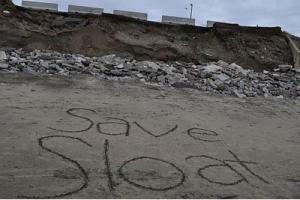 Save The Waves launched a Save Sloat! campaign in January 2010 and continues to drive leadership and decision makers to find an environmentally friendly, long-term solution to the problem. Unfortunately, this is far from being a new issue. 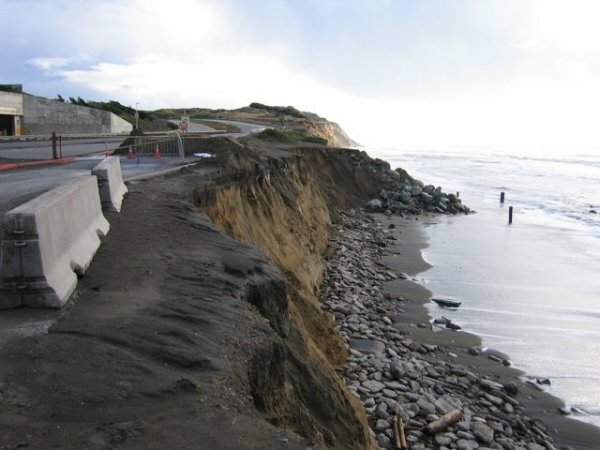 For over ten years, scientists, environmentalists, and the Ocean Beach community have been working with the City of San Francisco to provide a strategic, environmentally smart solution to erosion problems south of Sloat Boulevard. In fact, the Ocean Beach Task Force was set up back in 1999 specifically to address the issue and come up with recommended long-term sustainable solutions. These recommendations were provided to the City several years later in 2003, after extensive volunteer research was provided by the community and coastal engineering experts. California Coastal Protection Network (CCPN) has filed a lawsuit against the City of San Francisco for continued violations against the Coastal Act over the past 17 years for the illegal dumping of rock and unpermitted conrete and other debris on the shore at Ocean Beach. This dumping has been a shortsighted reaction to coastal erosion and sea level rise issues, compounded by the placement of infrastructure and development too close to the shore. > Read more about the lawsuit. In July, the Coastal Commission voted to deny the City of SF Department of Public Works permit for after-the-fact rock revetment and further coastal armoring in the Sloat area of Ocean Beach.The Commission denied the permit unanimously. > Read more about this recent victory for Sloat. In June of 2010, an effort was launched to create a Master Plan for Ocean Beach, which will provide a long-term vision for the area. 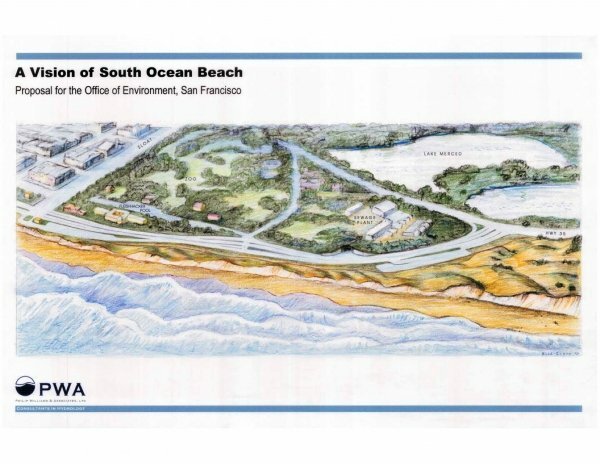 SPUR, a San Francisco based public policy think tank is leading the creation of the Ocean Beach Master Plan with funding from the State Coastal Conservancy, the San Francisco Public Utilities Commission, and the National Park Service. SPUR has organized planning meetings since June, as well several successful community workshops. The Ocean Beach Master Plan is anticipated to be completed in December of 2011. To find out more about the process to create the Ocean Beach Master Plan, upcoming events, and the opportunity to provide public comment, please visit Spur’s Ocean Beach website. 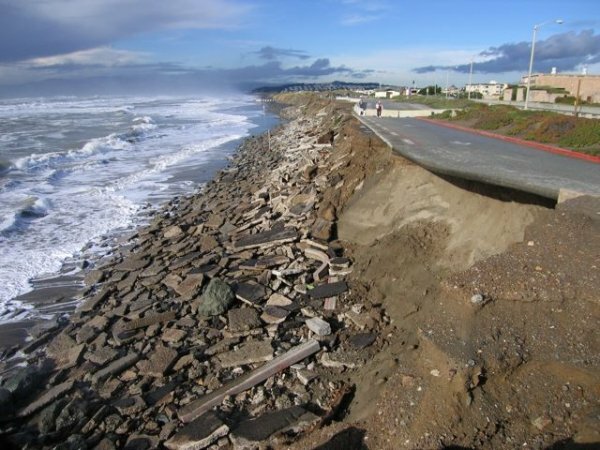 Also, read this recent SF Chronicle article “SF Ocean Beach preservation plan to be shored up.” Executive Director Dean LaTourrette advocates the need to create a long-term plan to the address threats to infrastructure while protecting the beach and public access.